If you asked me what I’ve been spending the most time doing the past week or so, the answer is simple – playing the bajeezus out of the recently remastered version 2.0 of Sonic The Hedgehog (Free) that was released as a free update to the original iOS game. Seriously, this think is a bonafide work of art. 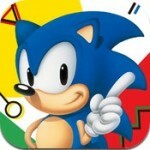 Rebuilt from scratch using the Retro Engine developed by Christian “Taxman" Whitehead, and with help from fellow Sonic hacker Simon “Stealth" Thomley, Sonic The Hedgehog 2.0 features tons of awesome enhancements over the previous bare-bones iOS version, and even over the original Genesis/Mega Drive classic. Anyway, what you may have not heard about yet are all the crazy features that are in this version of Sonic The Hedgehog that aren’t on the “back of the box" so to speak. It didn’t take the members over at the Sonic Retro forums, which is where Taxman and Stealth hang out themselves, to dig into the game and discover more of what it had to offer. The full level-select and Debug Mode from the original 16-bit games is intact here, but it goes beyond even that. 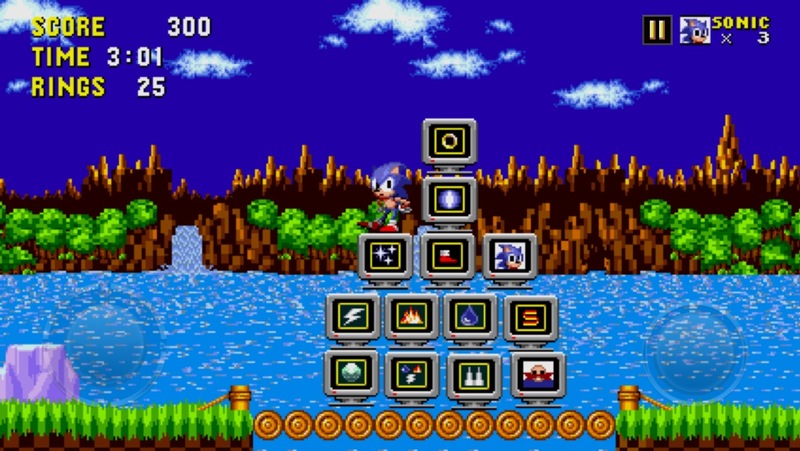 Elements of Sonic 2 and 3, including the ability to add a 7th Chaos Emerald and get Super versions of Sonic, Tails and Knuckles, are among the additional goodies tucked into Sonic 2.0. A forward-thinking member of our forums took the initiative to compile all of Sonic’s secrets in one handy discussion thread. There still may yet be more to uncover, but let’s take a look at what’s out there so far in terms of secrets, glitches and easter eggs. First off, let’s make sure you know how to unlock the additional characters. Unlocking Tails is simple enough – just beat the game. Once unlocked, you can choose to play as Tails by himself or a combo of Sonic with an AI-controlled Tails following along. 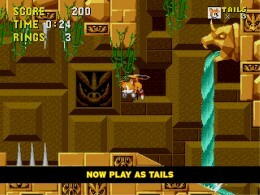 While playing as the duo, jump and press up+jump in mid-air to have Tails activate his “helicopter" mode and carry Sonic by his arms. While carrying Sonic you’ll be in control of Tails and can fly your buddy around the levels, even accessing previously unreachable and new areas. When playing as Tails by himself he can helicopter around, too. Unlocking Knuckles as a playable character is a lot trickier. To do so you’ll need to beat the game after collecting all 6 Chaos Emeralds. With Knuckles, there’s no default way to play as a duo with Tails (more on that later), but Knuckles does retain his unique abilities of gliding from mid-air and climbing walls. 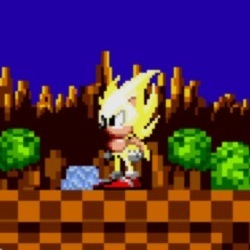 This allows him to also reach the same hidden areas that Tails can. Also worth mentioning is that all three characters can perform a Spin Dash by standing in place, holding down+rapidly tapping the button, then releasing to send your character shooting off like a buzzsaw. This move was first introduced in Sonic 2, and this marks the first time you can do it in the original game by default. Due to this many of the level designs aren’t equipped to handle the quick bursts of speed, but it’s still fun to use. You can also turn the Spin Dash off in the main options screen if you’d rather. Now, let’s get to the real fun – a hidden level-select and options screen and an unlockable debug mode. First start up a “No Save Mode" game. If you’re using an Android device and a physical controller to play the game, you can just enter the same code that unlocked this menu in the original 16-bit game: Up, down, left, right, then hit the A button+start. 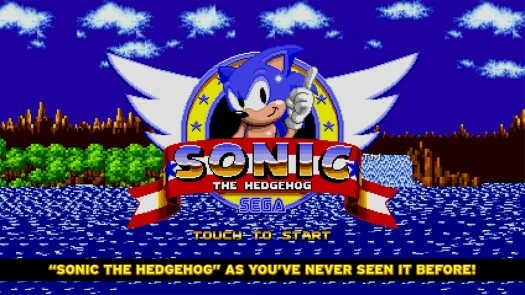 If using just the touchscreen, you’ll need to tap the letters S-E-G-A in order when the Sega logo appears just after starting a brand new game. After you press the letters you’ll hear a ring chime and then just place two thumbs on the screen at the same time and leave them there as the title screen boots up. The game will start on its own and boot you directly into the hidden options menu. Here you’ll get a little virtual d-pad to move through the menu, choosing any of the levels or the special stage to start on or toggling between a selection of additional options. These options include which character you’re playing as, turning Spin Dash on/off, toggling a ground and air speed cap on/off, or choosing between revised or original spike behavior. Let me explain that last one. When you land on spikes (and you have at least one ring) it knocks you back. In the original Sonic 1, if you hit spikes and it knocked you back onto the spikes again, you suffered a cheap death. By default in this version, you’ll briefly become invincible after landing on spikes like you do when you’re hit by an enemy, so a secondary landing on spikes won’t result in an instant death. The hidden options also allow you to choose between having 6 Chaos Emeralds in the game, as it was originally, or adding a 7th as in Sonic 2 and subsequent games in the series. If you enable the 7th Chaos Emerald, a new 7th Special Stage will be available. And oh boy is it a doozy. It’s currently unknown if this additional stage is based off of one that was scrapped during the original game’s development or if it’s some sort of evil concoction of Taxman and Stealth, but what I do know is that it is maddeningly difficult. If you beat all 7 Special Stages and collect all 7 Chaos Emeralds during the course of a game, you are a total rock star. 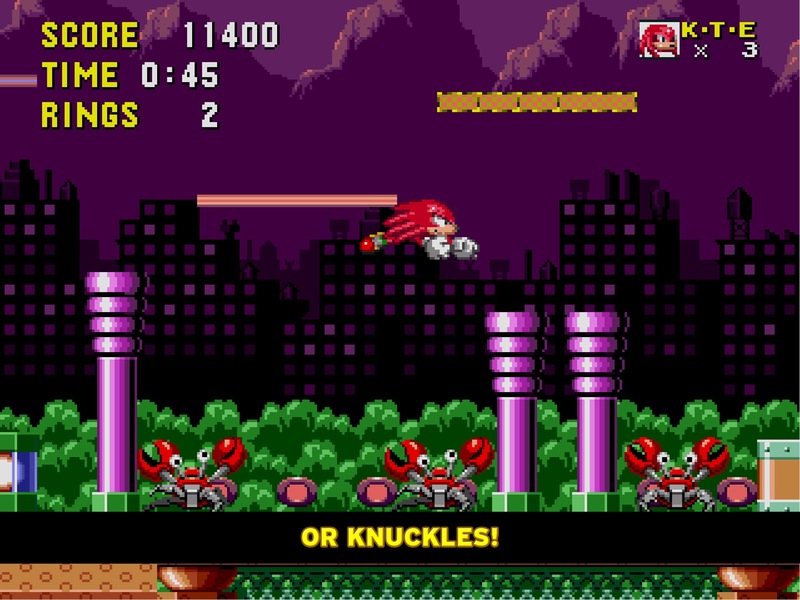 Should you manage to collect every Chaos Emerald, you’ll then gain the ability to transform into “Super" Sonic, Tails or Knuckles. You do this by collecting at least 50 rings in a level then jumping and tapping the button again in mid-air. Your character will transform into the Super version, giving you greatly increased speed and almost total invincibility. Your character also becomes a cool-looking gold version of itself. The Super mode is temporary and comes at a price of one gold ring per second, so will last until your collection of rings has counted down to zero. 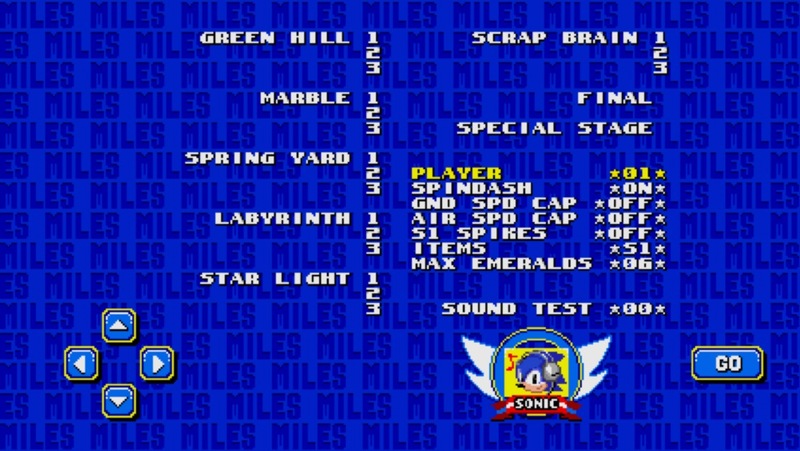 Finally, one of the more impressive and unexpected options available in the hidden menu is the ability to choose to add items and functionality from Sonic 2 and/or 3 into the game. This means Flame Shields that give you a mid-air dash and protect you from lava, Lightning Shields that draw coins to you like a magnet and allow you to double-jump, and Bubble Shields that prevent you from drowning underwater and give you a downward-stomp type move. Additionally, with Sonic 3 items enabled Sonic can do a mid-air attack. I’d almost go as far as to say that Sonic 1 feels like a completely different game using different items and characters from later games. Here is where things get weird. The only option in the hidden menu I haven’t covered yet is the Sound Test which lets you scroll through the library of music and sound effects used in the game. However, it also allows you to unlock a secret debug menu or instantly give you all 7 Chaos Emeralds. To enable the Chaos Emerald cheat, play the following music tracks in this order: 04, 01, 02, 06. You’ll hear the fanfare noise as if you just collected a Chaos Emerald, and will have all 7 right from when you begin the game. This allows you to turn into the Super version of your character at any time as described above. The second Sound Test cheat is for enabling Debug Mode, and is done by playing the following music tracks in this order: 01, 09, 09, 01, 00, 06, 02, 03. If done correctly you’ll hear the chime from a gold ring. After starting the game, hit the score/time/ring display in the upper left corner at any time to enter Debug Mode. Your character will turn into an item, and tiny “+" and “–" symbols at the top of the screen allow you to cycle through all the various items and enemies in the game. You can fly around anywhere as the item with the directional pad and place as many of any item as you want using the jump button. As you might imagine there’s all sorts of ways you can goof off placing items all about. You have instant access to as many coins or special items that you want, including extra lives and instantaneous “Super" version item boxes for your character. 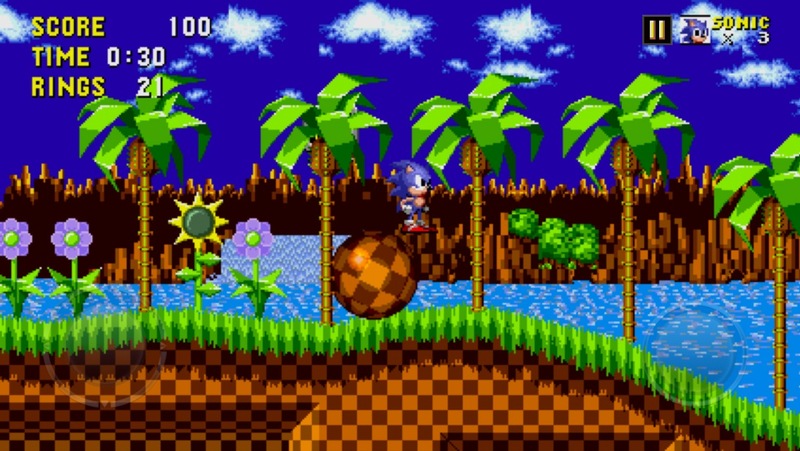 There’s some cutting room floor type stuff too, like the ability to spawn the giant wrecking ball that Robotnik swings from his craft at the end of Green Hill Zone. 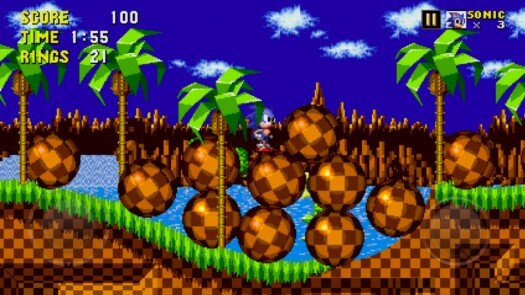 You can push the giant balls around the level or even ride them around by walking on them log-rolling style. There’s tons of other cool stuff to discover playing around in Debug Mode, just be aware that you are using an editor and it gives you the capabilities of doing things the game can’t handle, so don’t be surprised if you happen to cause weird glitches or lock-ups. Ok, to round off this little guide of sorts let’s start off with one of the neat Easter Eggs the developers slipped into the game for the fans. 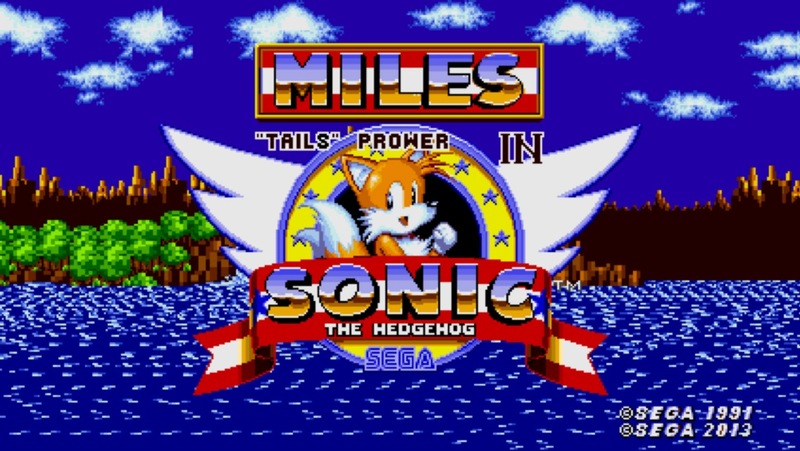 In case you didn’t know, Tails has a real name and it’s Miles Prower. You can enable a code that will show his name as Miles on the title screen and use the name Miles in the extra life display during the game. Just start a “No Save" game using only Tails or Sonic+Tails and when the Sega logo pops up tap the letters in reverse order: A-G-E-S. You’ll hear a ring chime and get a new title screen, and when playing as Tails only a new in-game name display. 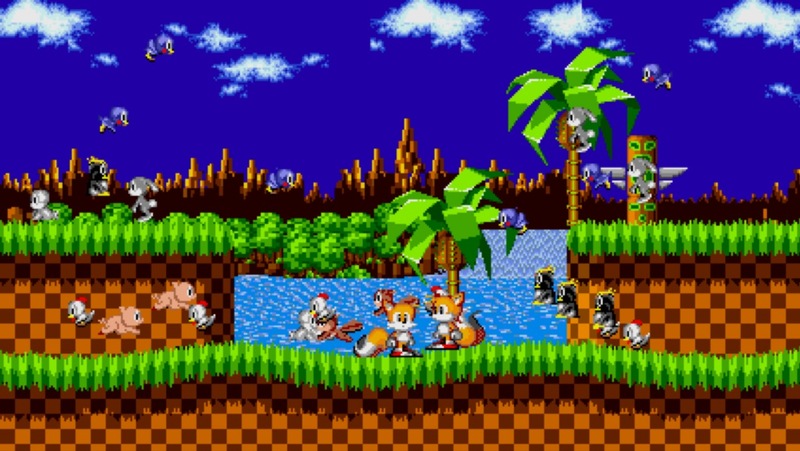 Now on to maybe the coolest glitch in the game, whether it was intentional or not, which is the ability to play as any of the characters with Tails by your side as an AI-controlled companion. Just start up a “No Save" game using Sonic+Tails, and then die until all your lives are gone and it’s Game Over. After getting booted back to the title screen, start the game and load up a saved game with either Tails or Knuckles. When you begin you’ll have Tails by your side. It’s glitchy though, and certain sprites and animations just weren’t made for this functionality. Like Tails carrying Knuckles while helicoptering, for example. It’s still pretty crazy, and kind of a dream come true for Sonic fans. There are no doubt more secrets, Easter Eggs and glitches buried in Sonic The Hedgehog version 2.0, but this already pretty extensive guide should get you started and on your way to enjoying the game on a whole other level. It wouldn’t be a bad idea to keep your eye on the Secrets of Sonic The Hedgehog for iOS thread or the general discussion thread for Sonic 1 in our forums, and it’s never a bad idea to poke around the Sonic Retro forums where there is an incredibly knowledgable community. More than anything, though, please keep these coming Sega and co. It’s already been confirmed we’ll be getting a similar treatment with Sonic 2 at some point, but there’s no way they could stop there and not bring on Sonic 3 & Knuckles, including crazy ways to have all 3 games interact with one another as an homage to the original’s “lock-on" technology. For now, I’ll continue spending a stupid amount of time with this Sonic The Hedgehog remake, so definitely try out some of these tricks if you haven’t already.